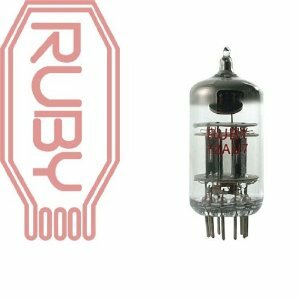 This entry was posted in Vacuum Tubes and tagged 12au7/ECC82, Ruby, ShuGuang by tubemaze. Bookmark the permalink. I decided to give these tubes a try. It was downtime for me, so why not I thought – maybe they are half decent – and decent they are not. Although construction looked quite nice. Triple mica, supporting rods. What a huge waist of time – I gave them all time I could (2 hours) without ripping my ears out. The sound is lifeless – it’s like going back to solid state. High frequencies are brittle – there is no nationality in the sound. Sound stage is as flat as I’ve ever encountered it with tube amps. A very painful experience. So if you get them with your amp as base tubes – rip them out ASAP and put something better – don’t waist your life listening to crap. Crap and more of the same.